While taking action against file-sharing, the government is offering a quid pro quo by moving to liberalize the rules on personal copying. Surveys have shown that most Britons were either unaware that format shifting was illegal or that they flouted the prohibition anyway. “If you just tell people, ‘you can’t copy this CD that you bought, for personal use,’ they’re never going to respect you when you tell them it’s wrong to copy for others,” said Simon Levine, an intellectual property lawyer at the firm of DLA Piper in London. While it may have been conceived to stimulate creativity, the use of copyright has changed over time to effectively become a bar to creativity and innovation because copyright holders have elected to rather use copyright to lock down their works, preventing the exploitation of those works except in terms of licenses they grant. These licenses permit other people to make use of the works by granting them limited rights to the works concerned. Take a music CD as an example. Many people labour under the misapprehension that when they buy a CD from a music store they become the “owner” of that CD and can do with it what they wish. If you take a look at the tiny print at the back of the CD on your shelf you will notice that when you bought the CD you actually licensed the CD from the nebulous “music company” and you have very limited rights to the music which do not include the right to make copies of the music (whether onto another CD or by ripping the CD to your computer) or pass the music around. You can pretty much listen to the CD and appreciate the fine album art in the company of your personal CD playing devices. You can’t play the music in public or make a remix of your favourite tune and share it online. If you do anything outside the very limited parameters of the license granted to you when you handed over your hard earned cash to the cashier, you are committing copyright infringement. That is what licenses do, they set the parameters of your use of the content they are created for and any use outside the parameters of the license is unauthorised and constitutes copyright infringement. Digital music players are everywhere: iPods and similar music players, phones and a variety of computers. The technical requirement that consumers buy multiple copies of their preferred music for each device and form factor makes no sense. While American copyright law allows consumers to rip their CDs and play the music on their chosen media player or device under fair use, that a personal or private use exception to copyright infringement is excluded from uses of sound recordings (music qualifies as a sound recording in the sense I’m referring to it in this post) that are not copyright infringement in our Copyright Act. 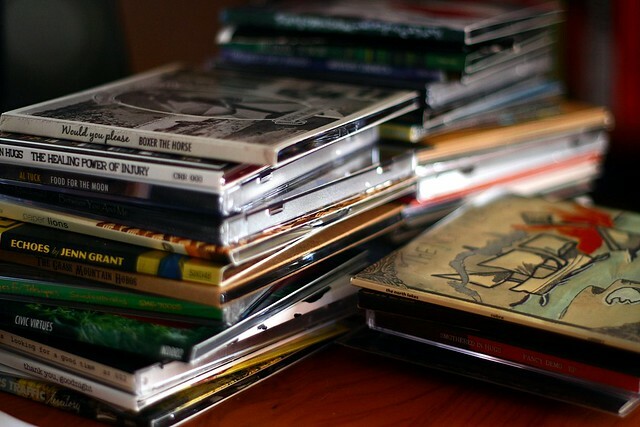 This means that under South African copyright law, ripping CDs or otherwise format shifting is illegal and constitutes copyright infringement, at least when it comes to consumers buying CDs and moving that music on to their preferred digital music player. Copyright law was originally and is still intended to foster creativity. What we find, in practice, is that Big Media (my term for the international music and movie industry) is engaged in a cold war against new business models and copyright infringers and, almost in keeping with George W Bush-style rhetoric, have made the choice consumers have one between supporting an aging and increasingly ineffective business model and supporting the “terrorists” (these people may be actual terrorists or something similar from Big Media’s perspective). This is not an argument against copyright law but rather its application by vested interests that are often at odds with creators’ interests.